CLASSICO. 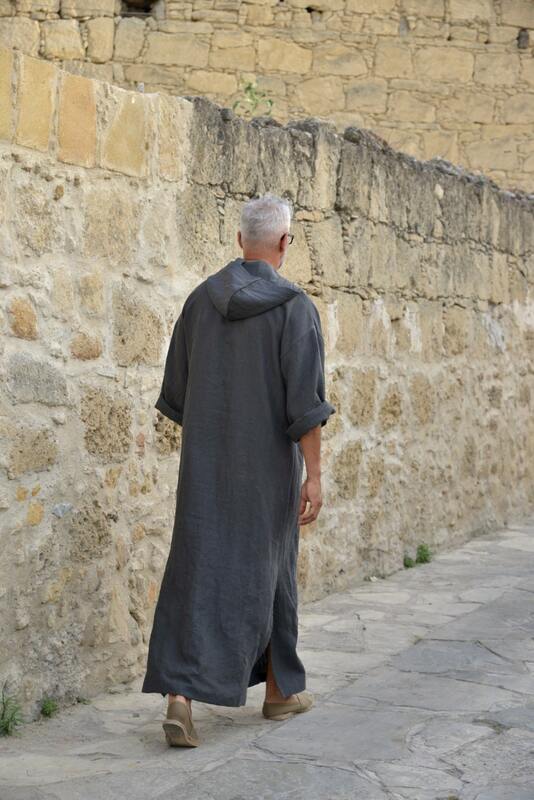 Mens hooded or non hooded Black linen kaftan. 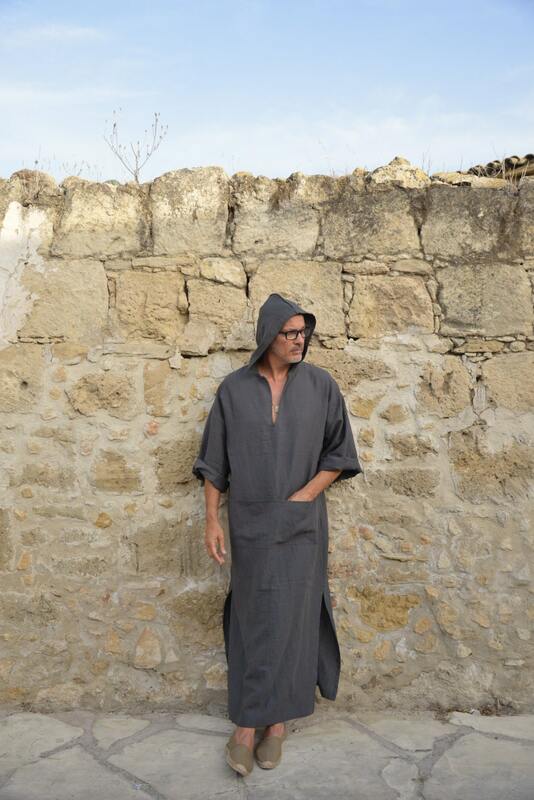 This unique men’s kaftan is made of cool and light pure linen. This pure linen is pre washed it has a relaxed texture and a beautiful drape. It is absorbent and breathable more so than cotton. 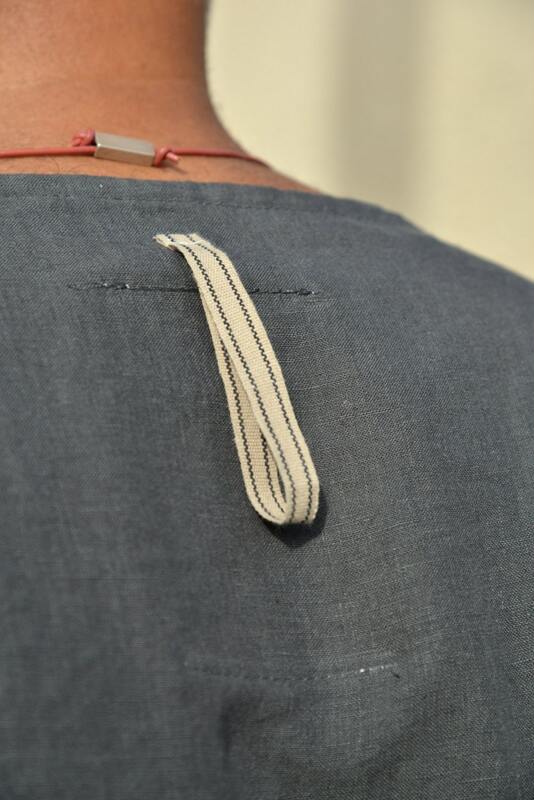 Linen is known for it's durability and it is easily laundered. 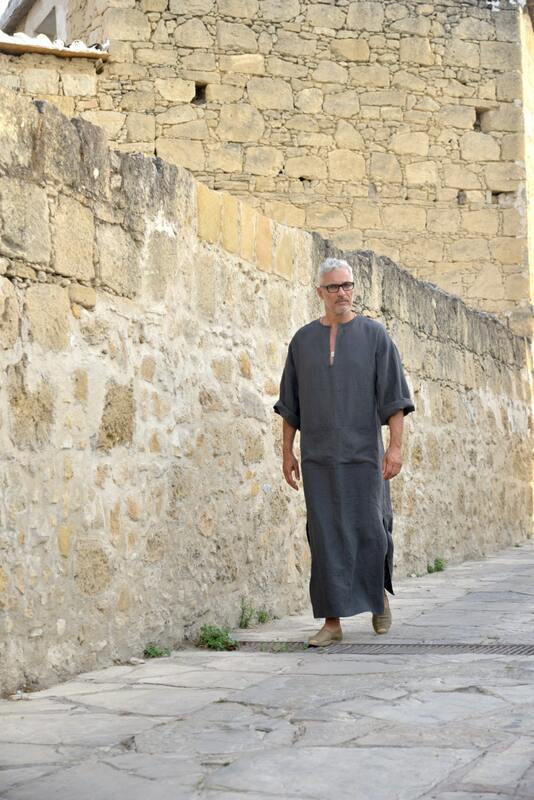 This kaftan will soften with each wash and serve you comfort for years. The small luxurious details like the wooden logo hanging from the kaftan's label and the sophisticated packaging make it ideal for a gift for your beloved ones. The model appearing in the photo is 190cm (6’ 4”) tall and his t-shirt size is XL/XXL. 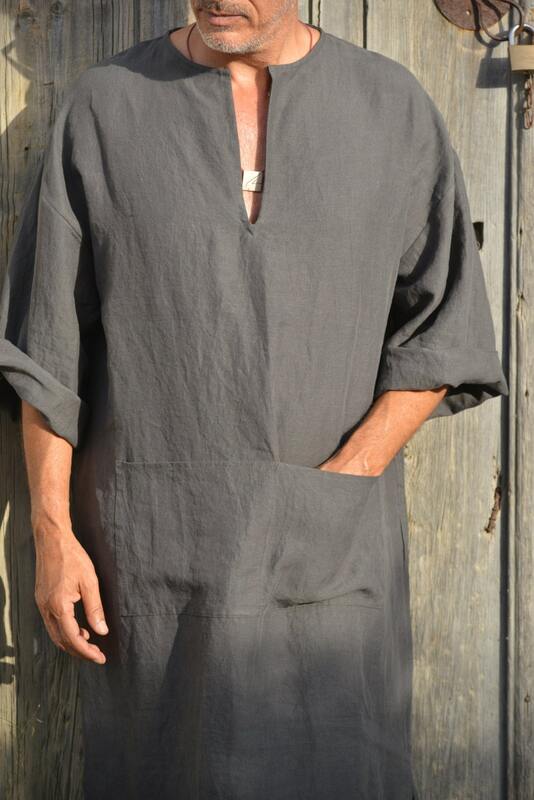 In the photo he wears an L size kaftan.